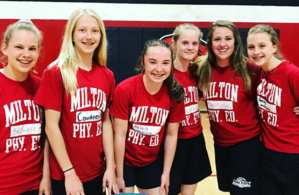 The School District of Milton seeks to ensure your child is learning in a safe and healthy environment. The following forms provide information related to the District's medical and health information policies, Wisconsin's immunization laws and other medical forms. If at any time you have a question about one of these forms, please call our School District Nurse Teresa Baker at 608-868-9300 ext. 1021.